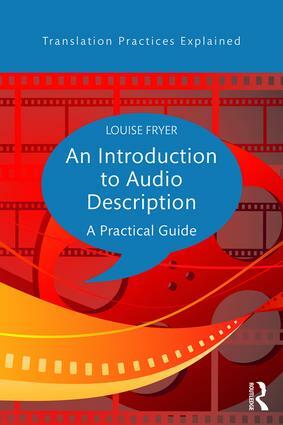 An Introduction to Audio Description is the first comprehensive, user-friendly student guide to the theory and practice of audio description, or media narration, providing readers with the skills needed for the effective translation of images into words for the blind and partially-sighted. how to write, prepare and deliver a script. Covering the key genres of audio description and supplemented with exercises and discussion points throughout, this is the essential textbook for all students and translators involved in the practice of audio description. Accompanying film clips are also available at: https://www.routledge.com/products/9781138848177 and on the Routledge Translation Studies Portal: http://cw.routledge.com/textbooks/translationstudies/. Translation Practices Explained is a series of coursebooks designed to help self-learners and students on translation and interpreting courses. Each volume focuses on a specific aspect of professional translation and interpreting practice, usually corresponding to courses available in translator- and interpreter-training institutions. The authors are practicing translators, interpreters, and/or translator or interpreter trainers. Although specialists, they explain their professional insights in a manner accessible to the wider learning public. Each volume includes activities and exercises designed to help learners consolidate their knowledge, while updated reading lists and website addresses will also help individual learners gain further insight into the realities of professional practice.